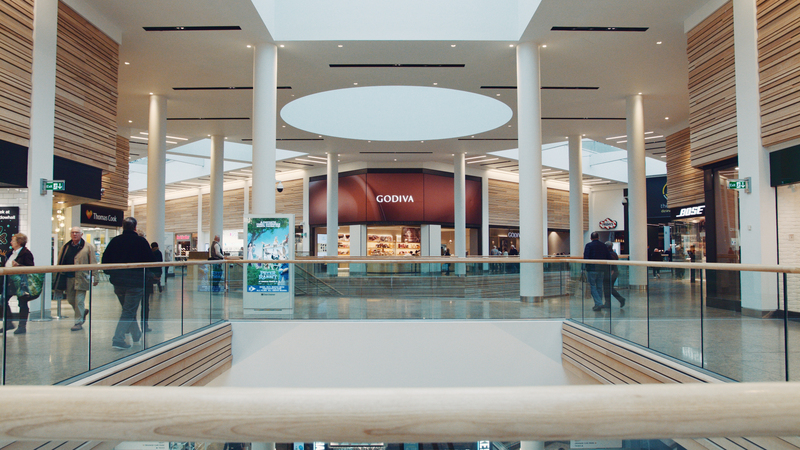 We wanted to create enormous impact using scale and content. We had a perfect location high above the store entrance to work with. 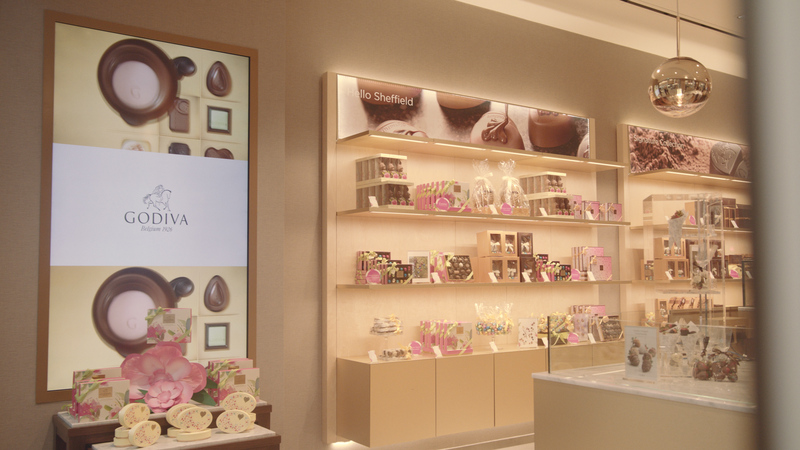 As a result we installed a massive 36 square metre LED screen across the entire corner of the store at high level. 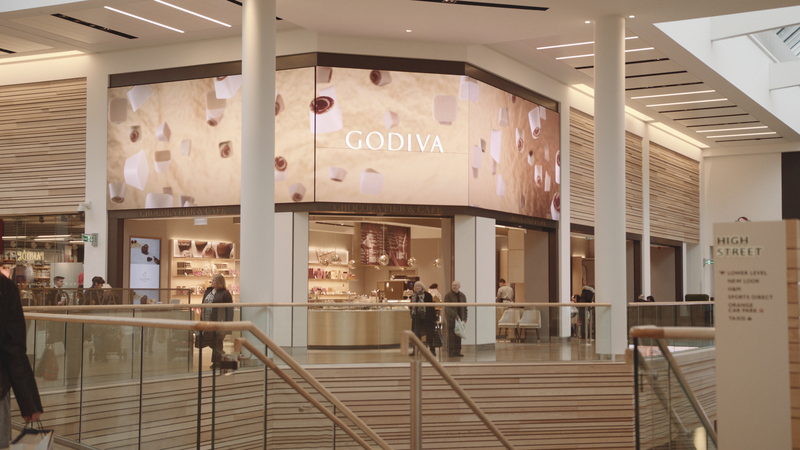 This provided the perfect canvas for creating some bespoke content enticing shoppers with Godiva’s range, shot in mouth watering slow-motion.